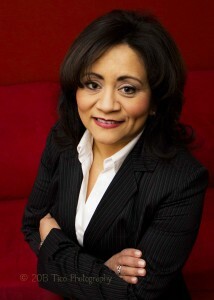 CiCi Rojas was named President and CEO of the Central Exchange in February 2013. She provides vision, voice, and operational oversight for the 900+ members of women and men from the metro Kansas City area for CX, which offers more than 400 programs annually of a wide variety of personal, professional, business development and networking opportunities. Prior to joining CX, CiCi most recently served as VP of Community Engagement for Truman Medical Centers in Kansas City, MO. She has also served in executive roles leading two Hispanic Chambers of Commerce and as VP of Strategic Alliance with the Washington, D.C.-based US Hispanic Chamber of Commerce. CiCi Rojas is active in civic organizations on the local, state and national levels. She is the national Chair for the Latino Coalition Foundation and a Member of the Camp Fire USA National Board of Trustees. In Kansas City, she is Chairwoman of Hope House, a member of the Executive Committee Board of Directors for both KCPT Public Television and Friends of the Zoo. She also serves on a variety of civic boards including YMCA, Metropolitan Community College’s Foundation, Guadalupe Centers, Inc, and the Kansas City C&VB Association. Mrs. Rojas was honored on June 6, 2013 in Kansas City.